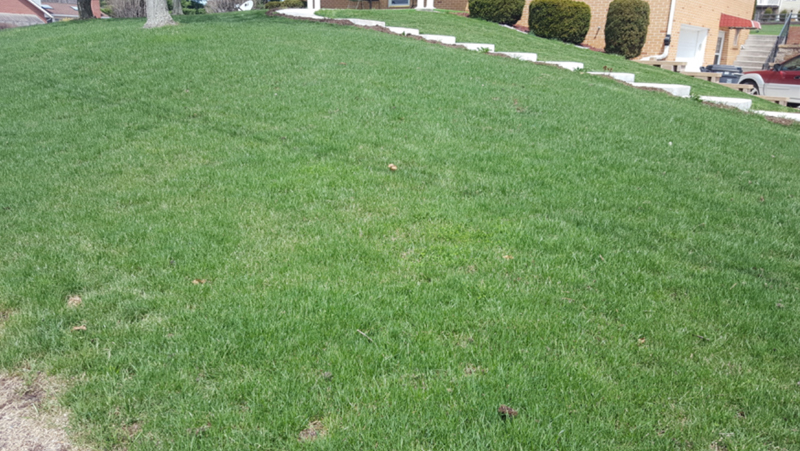 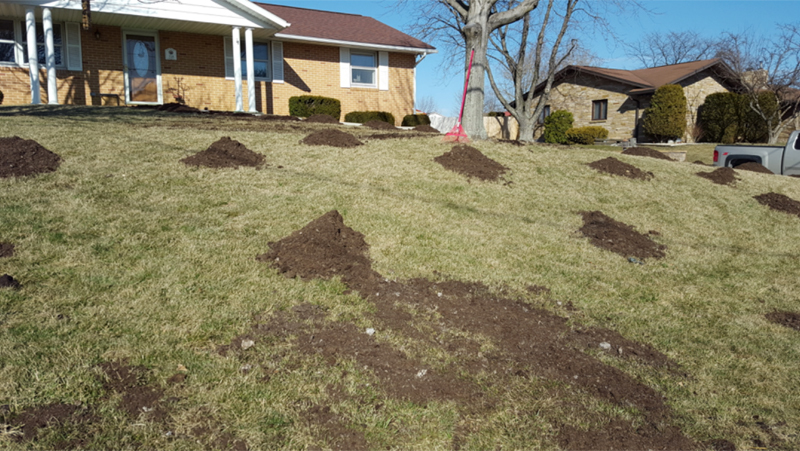 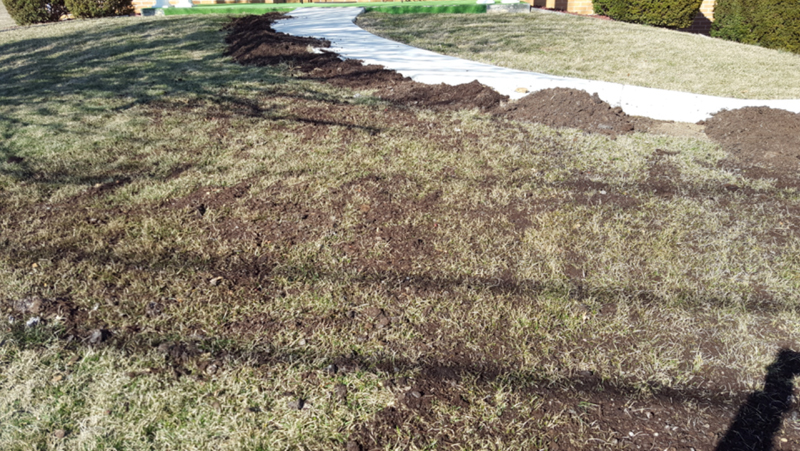 After two years of grass establishment over clay soil, this homeowner opted to top-dress the grass with mushroom compost in early March 2018. 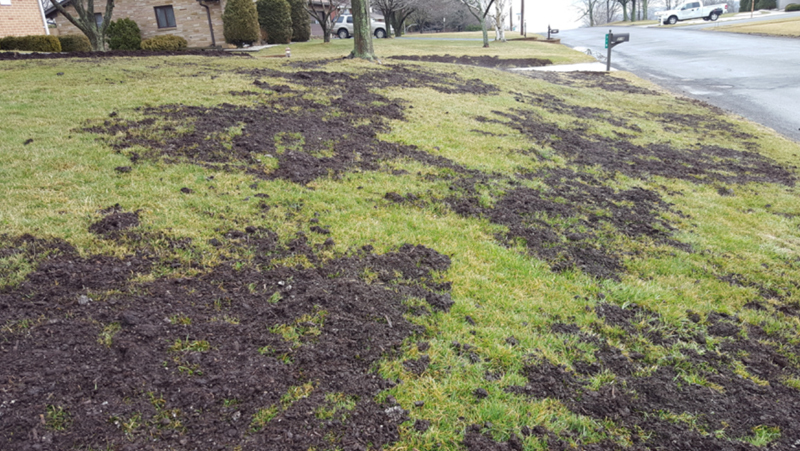 They placed compost in 2 cubic foot piles every 6 feet over a 25’ x 100’ area. 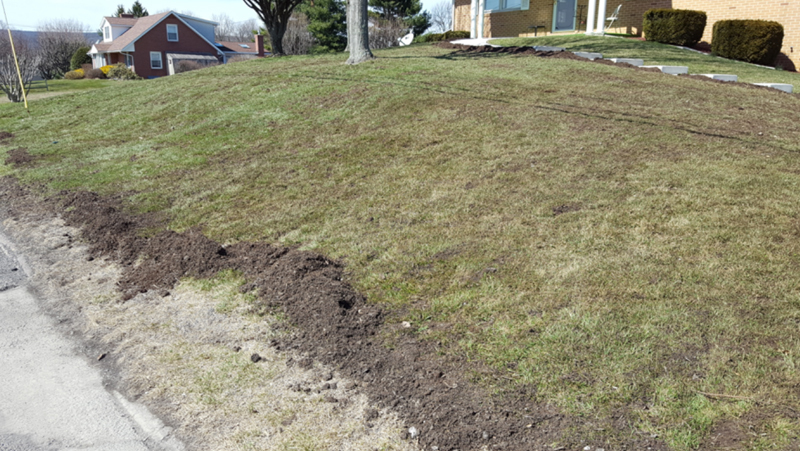 Then they spread it and back raked the compost into the grass. 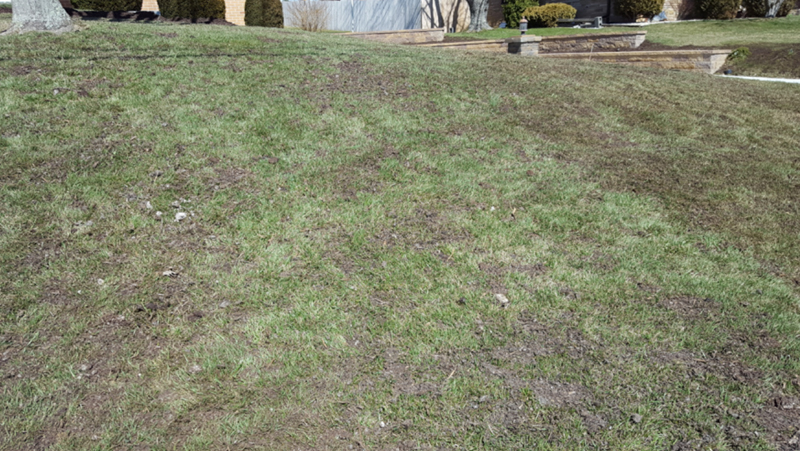 This allowed the compost to settle into the grass and the nutrients to leach into the soil by snow melt and rain, prior to the growing season in April. 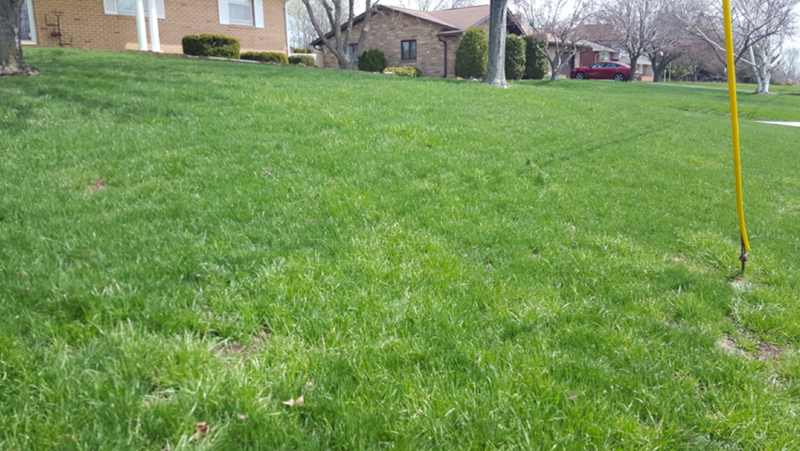 As a result there is no fertilization necessary for two years.